The death toll from landslides and devastating floods in the central Philippines triggered by a tropical depression climbed to 85 with many still missing. Most of the casualties, including young children, were killed when their homes collapsed in landslides after days of heavy rain in several provinces in the central Philippines, said Ricardo Jalad, executive director of the national disaster agency. 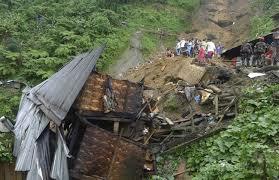 Bicol, with a population of 5.8 million, was the hardest hit, with 68 killed in intense rains and landslides. Damage to agriculture in Bicol, which produces rice and corn, was estimated at 342 million pesos ($8.9 million Cdn).